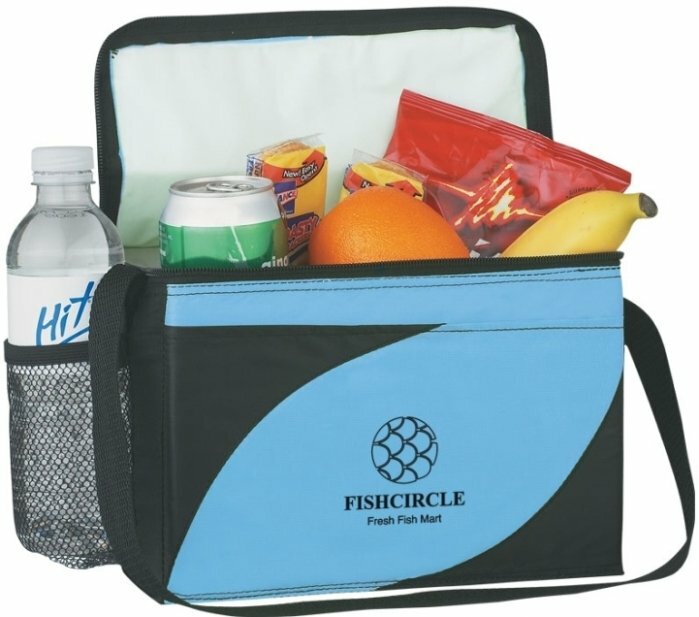 6 can soft sided cooler with colorful accents at a low cost as a cheap cooler for insulated cooler promotions. Applications include schools, outdoor related, corporate giveaways or employee promotional items coolers. main compartment, side mesh water bottle holder, black web carry handle, 6 beverage can capacity. Overall size of the cooler is 10" w x 7" h x 6" d. Delivery from date of a cooler order is 3 weeks. Price includes a one color print on the front in an area 3" w x 3" h.